Working on behalf of both communities and businesses, they have developed a self-delivery model which combines in-house consultancy expertise with front line operational excellence. From initial inspection through to design, delivery, refurbishment works and ongoing maintenance, this approach enables them to supply all of the services required to keep the nation’s infrastructure and open spaces operating effectively and efficiently. The ability to notify drivers of their legal requirement to download in advance of exceeding the 21 day requirement ensuring operators are managing their compliance regulations. A cost analysis was completed to compare the existing process against the driver compliance solution in order to quantify the cost reduction post deployment, and also to gauge the return on investment. Possible costs arising from DVSA fines were excluded from the analysis as these were not guaranteed costs. The software has been up and running for the last 5 years. 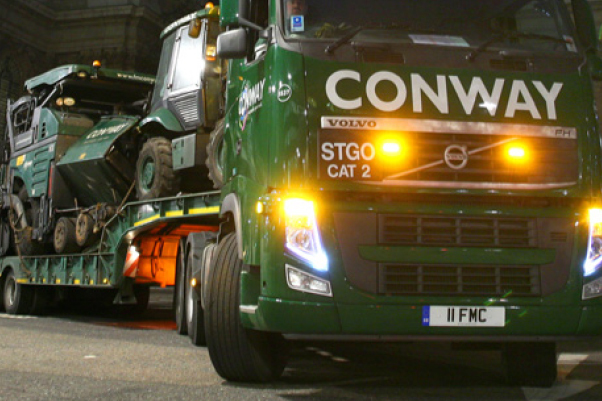 The implementation process was seamless and unlike alternative solutions there was no need for FM Conway to store information on their own servers, nor was there a capital outlay for any IT requirements. Savings were achieved in the form of large reductions in the number of fines and driver infringements due to the analysis provided by the solution , as well as eliminating the need for external driver downloads, while also ensuring full compliance with EU working time directives.